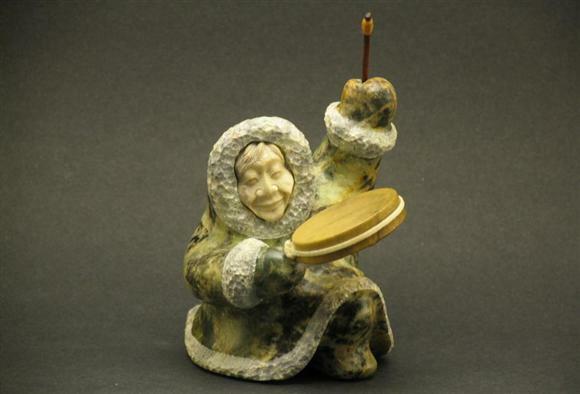 7300- Eskimo Drummer Kneeling — Douglas Creek Sculpture Co. 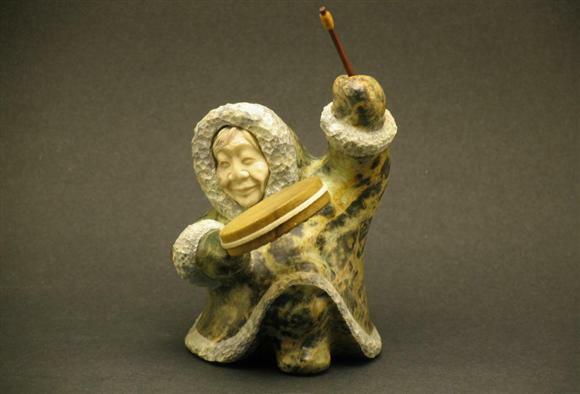 The beat of the drum helps recount the legends of the Inuit. Traditional drum dancers are the life of festivals and gatherings. Hand-crafted rawhide and sinew were used to make the drum.